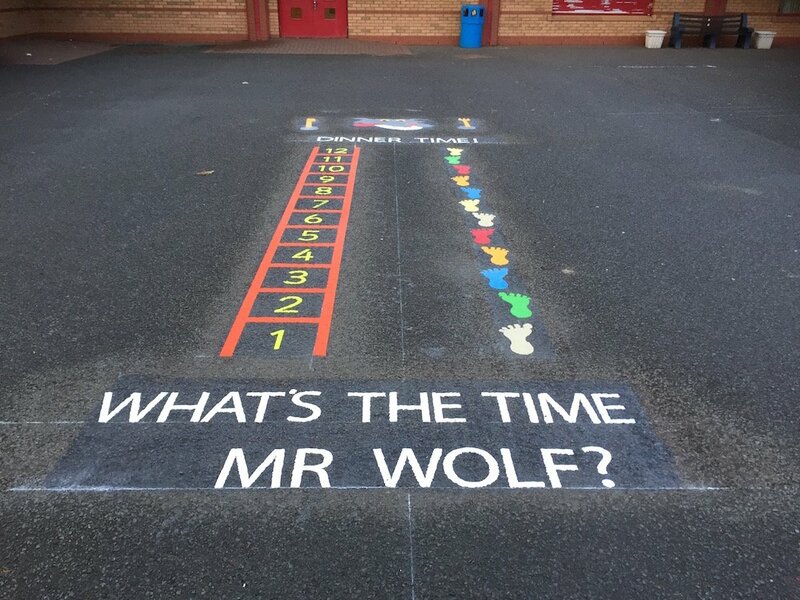 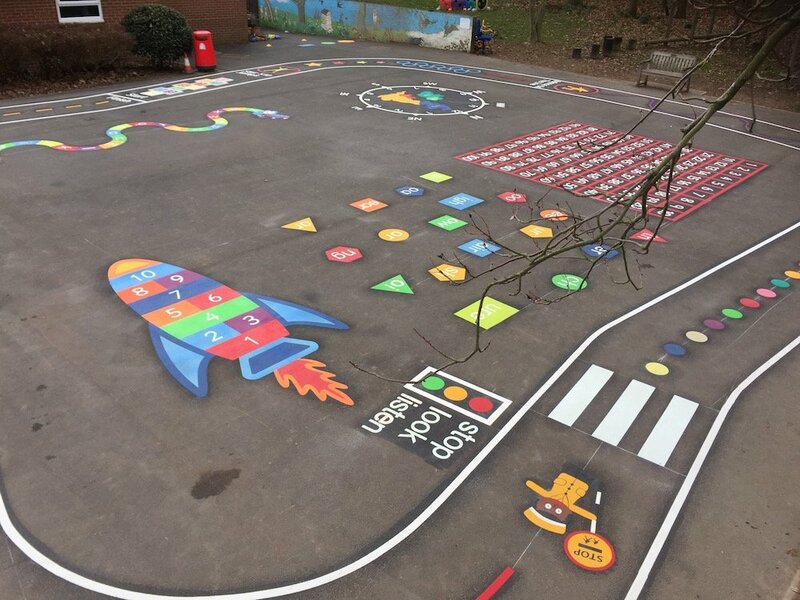 Playground Markings at Highfield Infant School in Bromley. 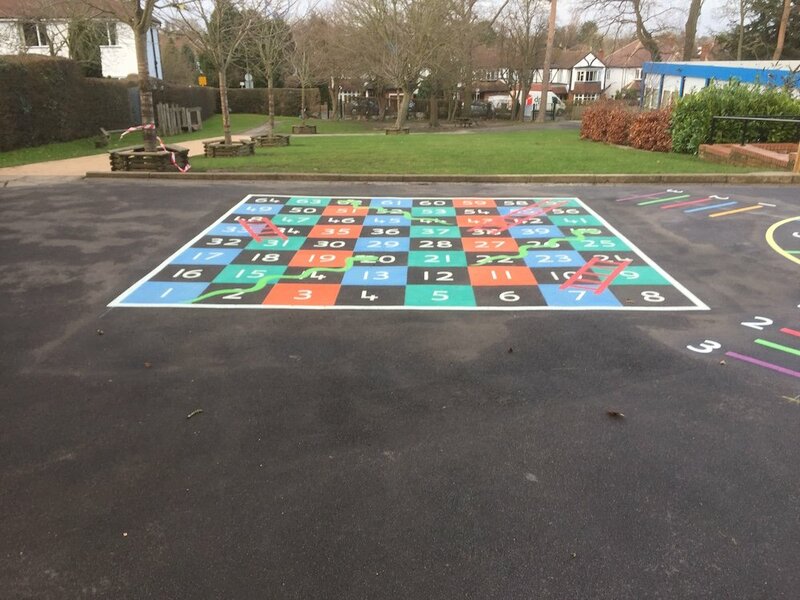 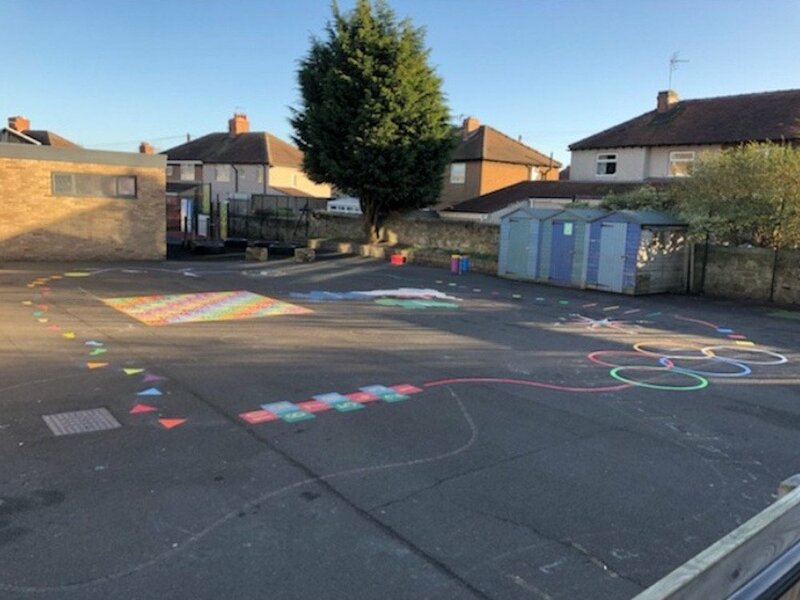 In Bromley, first4playgrounds installation team just completed a range of Thermoplastic Playground Markings at Highfield Infant School. 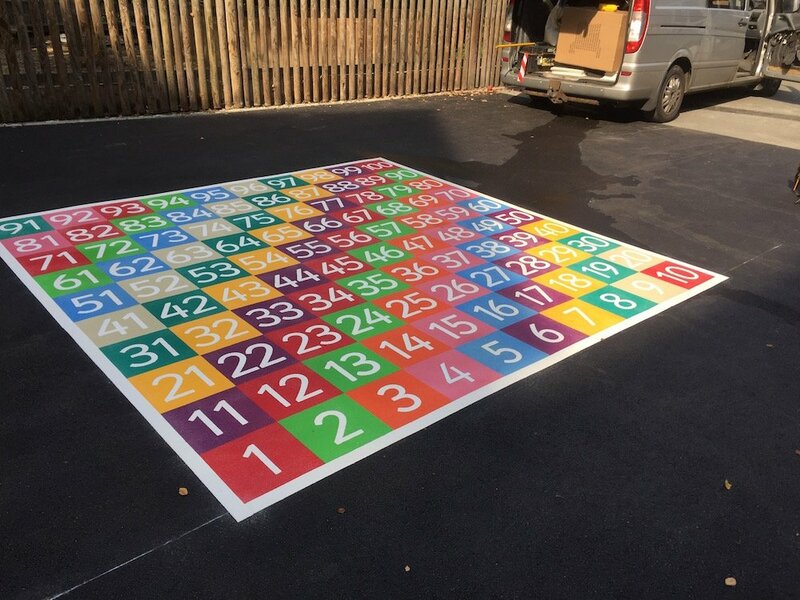 The team firstly began with this 1-64 Snakes and Ladders. 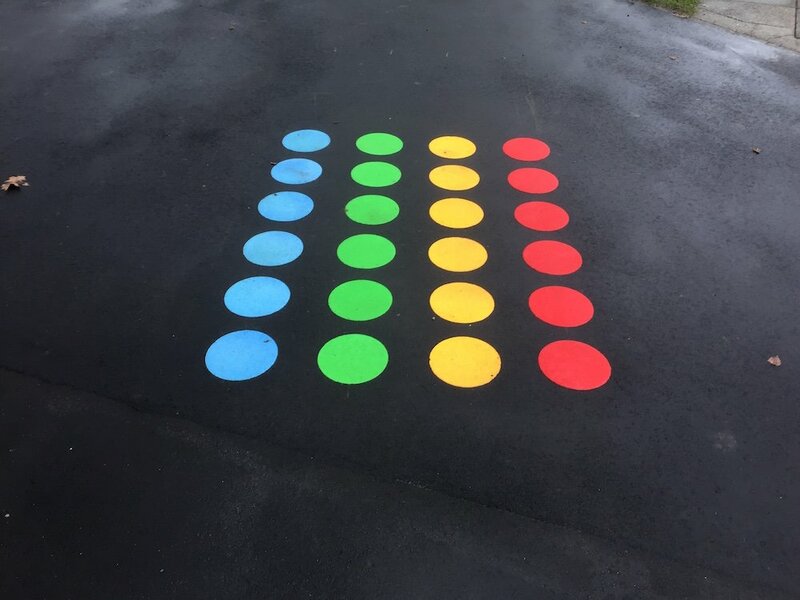 Next the team installed this Twister. 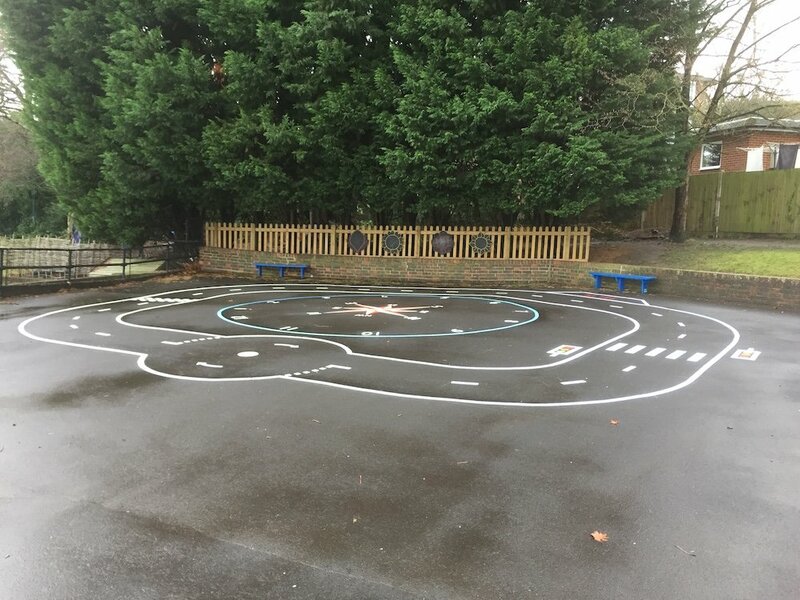 Then the team installed this Cycle Track with a Clock and a Rose Compass on the inside. 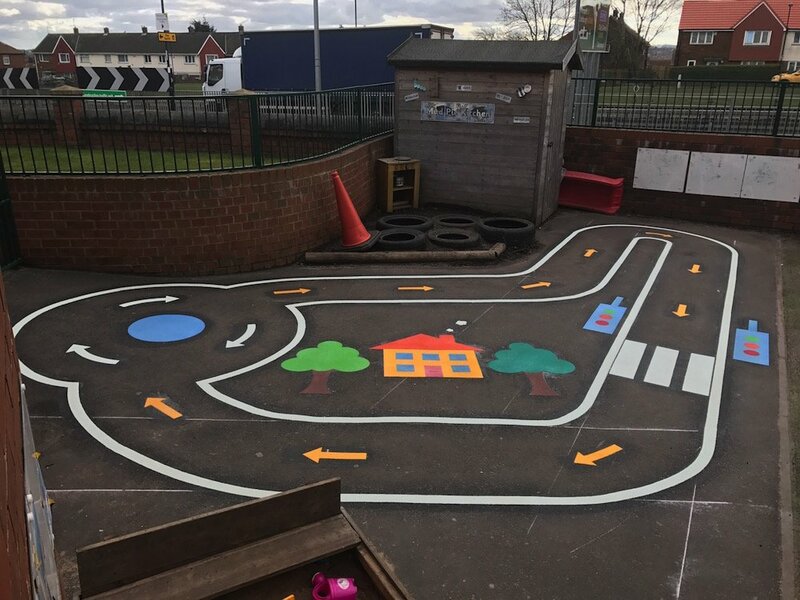 The Track had a Roundabout, 2 Traffic Lights, a Bus Stop and a Zebra Crossing added to it. 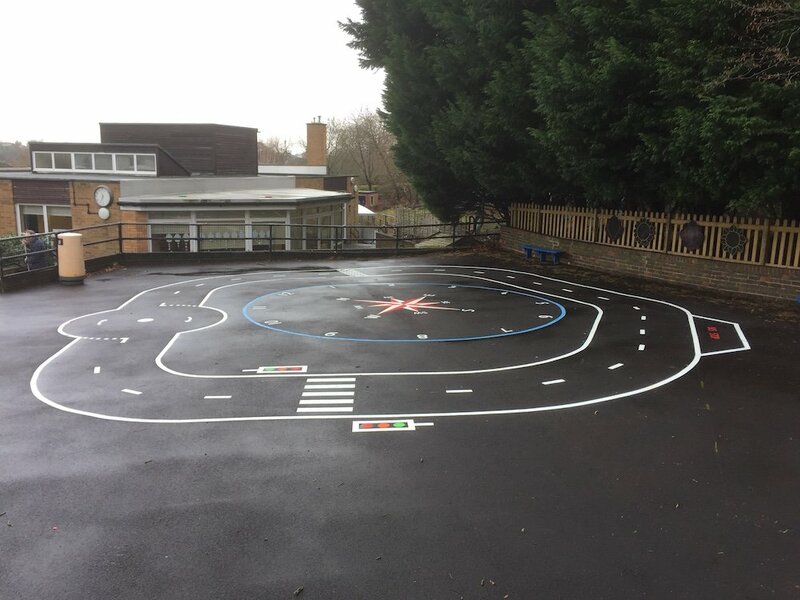 Making the Track more interactive. 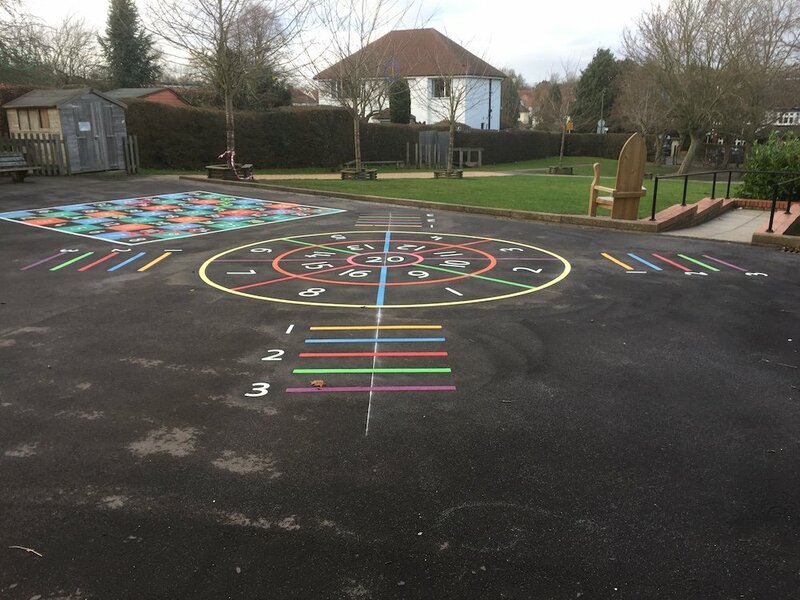 The team installed a Target Throw with four separate sets of Throw Lines next. 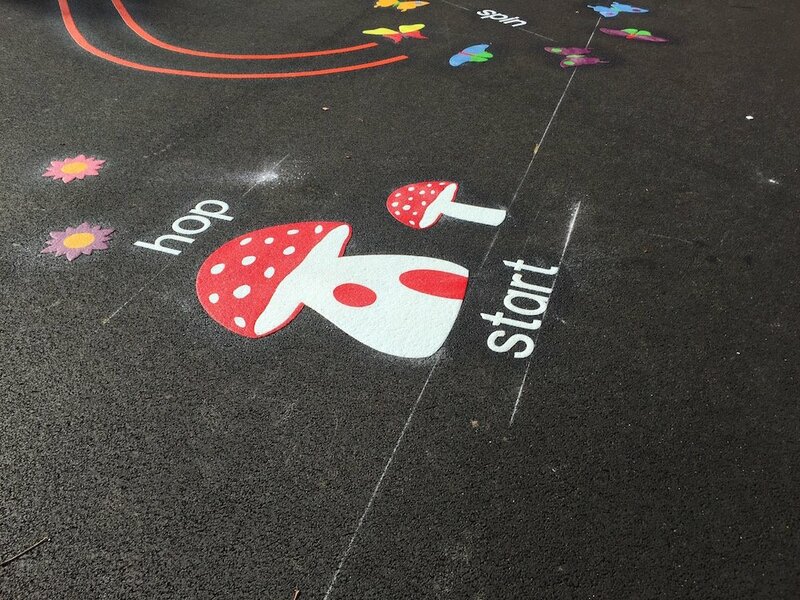 Lastly the team installed this Kings Square and this Activity Trail. 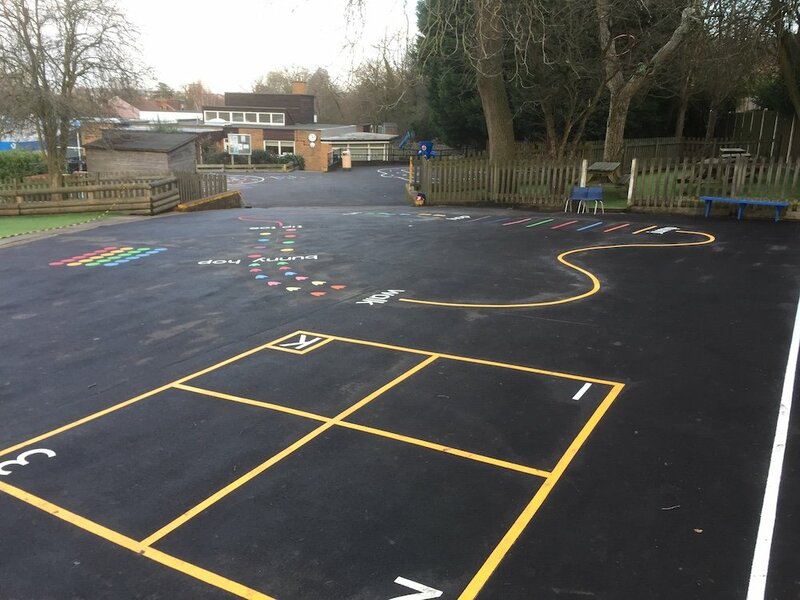 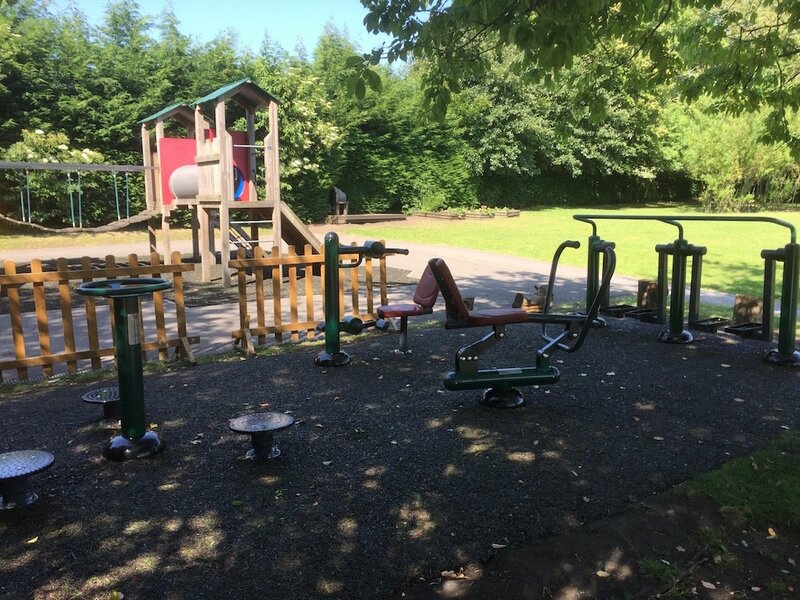 The Staff at Highfield Primary School were thrilled with the final result and were particularly positive about the decorum of the installation team and how professional they were. 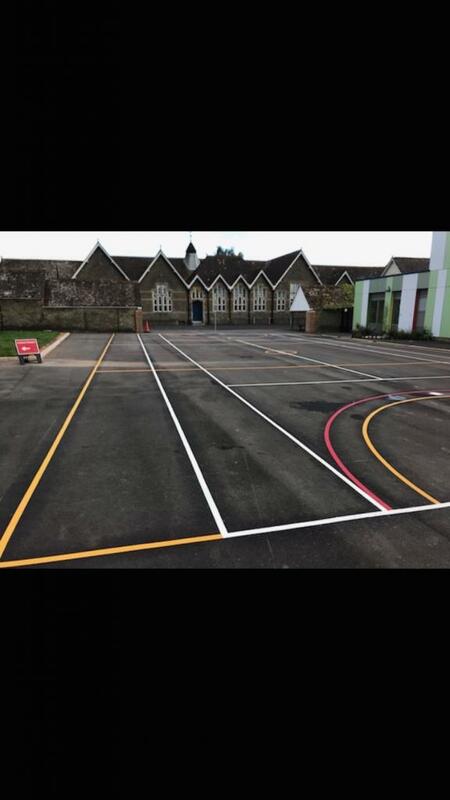 Great job lads!